Find below the list of top schools in Vidya Parisar - Indore with phone number, address, 360° School tours, 2018-19 Admission forms & Fees, photos, facilities & more. 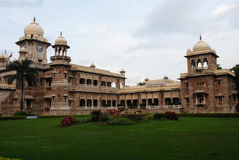 You may also be interested in other schools of Indore. Progressive Education School is located in Annapurna, Indore. It was established in 1996. This school follows the ICSE board. The school has English medium. 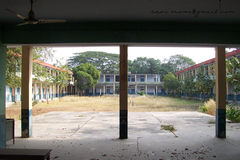 Ammar Baugh-E-Nounihal Higher Secondary School is located in Chattri Bagh, Indore. It was established in 1973. This school follows the CBSE board. The school has English medium. 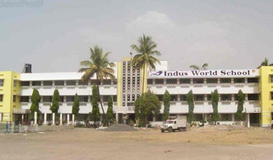 IIVA Higher Secondary School is located in Sneh Nagar, Indore. It was established in 1988. This school follows the CBSE board. The school has English medium. Queens' College is located in Khandwa Road, Indore. It was established in 1995. This school follows the CBSE board. The school has English medium. Shri Cloth Market Vaishnav Girls Higher Secondary School is located in Rajmohalla, Indore. It was established in 1981. This school follows the CBSE board. The school has English medium. Shri Kasera Bazar Vidya Niketan is located in Gumasta Nagar, Indore. It was established in 1984. This school follows the CBSE board. The school has English medium. 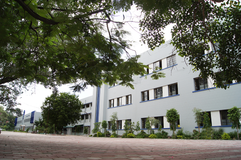 SKS International School is located in Tehsil, Indore. It was established in 1980. This school follows the CBSE board. The school has English medium. The Juniors' College English Medium Co-Ed School is located in Dhar Road, Indore. It was established in 2008. This school follows the CBSE board. The school has English medium. 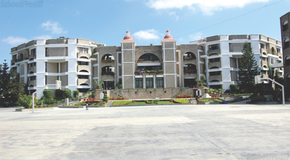 Shri Vaishnav Academy, Indore has a glorious legacy of educational development behind it. Shri Vaishnav Educational and Charitable Trust, Indore laid down the foundation stone for the development and expansion of education by inaugurating a boys school named Shri Vaishnav Academy by a renowed educationist, Late Mrs. Shalinitai Moghe with the motto of overall development of the children. The torch bearers of Shri Vaishnav Trust and core team of Shri Vaishnav Academy Managing Committee i.e. Shri Babulalji Baheti (President), Shri Rajkumarji Muchhal (Vice President), Shri Purushottamdas Pasari (Secretary), Shri Girdhargopalji Nagar (Treasurer) established this institute in the heart of the city with a strength of 225 students from classes VI to IX which has now sprouted up to 3550 students from the classes Nursery to XII, due to their copious efforts. Are you worried about your child's admission to a school? 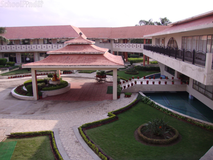 Worried about interviews in the best schools in Vidya Parisar - Indore? All it takes is a little bit of planning and going for a lot of options, which can be found on Sqoolz's list of best schools in Vidya Parisar - Indore. The top schools in Vidya Parisar - Indore are registered with us. Find all their details - location, address, fee structure, facilities and more! Also take our virtual tour, a feature that gives almost a first-hand experience to parents.